On Friday, October 28th, the Heacock Insurance team co-hosted the Lakeland High School vs. Kathleen High School football game. 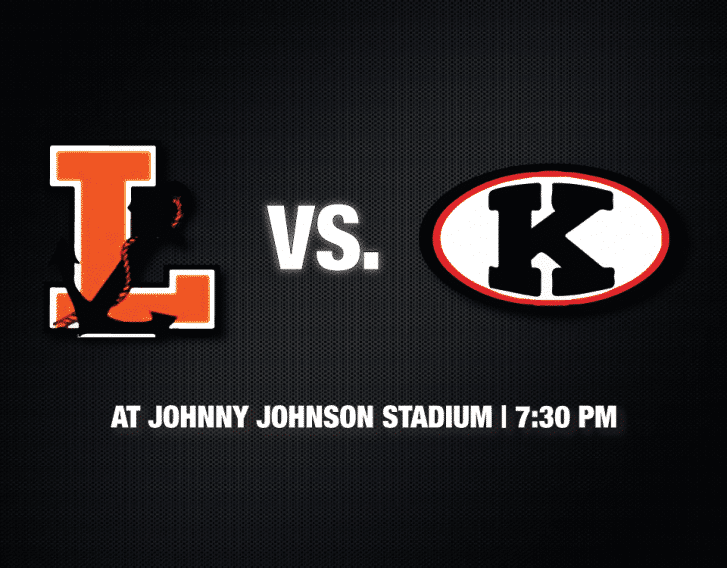 The game was played at the Red Devils field – Johnny Johnson Stadium at 7:30 PM. We were there to highlight the Great American Rivalry Series sponsored by our partner company Safeco Insurance. During the game, our team presented two scholarships for one deserving athlete on each team! Also, we had 2 booths set up at the game where spectators were able to ENTER our $500 Gift Card Sweepstakes. One lucky winner was selected in the 3rd Quarter of the game to WIN! It was a great night to come on out and support our hometown teams in this awesome Great American Rivalry Series game. Thank you to those who registered for your chance to WIN the $500 American Express Gift Card. We had a blast!